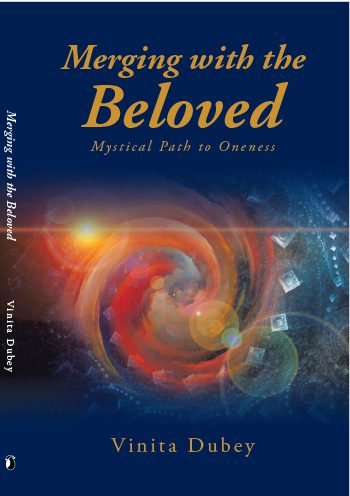 Vinita Dubey Pande: Celebrating Devotion! Through devotion our mind learns to subordinate itself to the object of devotion. In worldly life, our ego does not want to submit to anyone. Rather, it wants to take the driver’s seat. It wants to dominate, manipulate and exploit others. On other hand, in devotion our ego learns to humble itself, by taking the back seat and submitting to God, it learns to keep its likes (raga) and dislikes (dvesha) aside, and fills the mind with holy thoughts. That's why devotion is so essential in the spiritual path because in faith and devotion one has to bow one's head. Divine Grace plays a big role. The more grateful we are, more the divine light of Grace is blessed on us! Yoga which is imperfect leads you astray, off the path, stunted and malformed or stuck in Siddhis, because Raj Yoga needs discipline, perfection in each of the eight steps, detachment. Spiritual knowledge (Jnan) that’s still incomplete leads to concepts, misunderstanding, arrogance and delusion, because knowledge needs to be complete. Devotion (Bhakti) though, which will remain incomplete till it’s culmination, will always be correct, never go wrong in any way, each of the flavors is celebrated, whichever unique expression (Bhav) is natural to you. Some feel that God is their best friend, some their beloved, some treat the Lord like a child, some like their Master to be served, some sing the praise of the Lord, some feel the Lord deep within as their own soul and unite with Him. All these celebrate devotion. 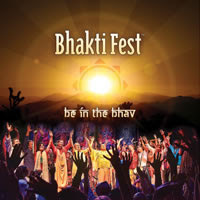 Bhakti bhav finally merges into the divine, and the goal is reached. There are so many reasons to celebrate devotion. Life is a journey from the head to the heard. Devotion is the one ingredient in the spiritual journey that takes you there. How? * Devotion purifies emotions like lust, greed, jealousy. When we turn our love towards God, when we offer ourselves to Him, the love turns to the highest; it changes from lust to love. Love for humans is selfish; it’s like an insatiable thirst, which leaves us empty and deluded. But even a drop of devotion brings complete fulfillment, expansion, liberation, and bliss. * When the heart is full of Love there is compassion for everyone. It brings forth the attitude to help and serve others. If my heart is filled with devotion all the time, not only will I have sweetness and love for all, but my heart and mind will forever be pure and full of bliss. * Mind divides, love unites. With intellect people argue and talk about their knowledge, beliefs and opinions. We tend to disagree and argue. In devotion there is joy in sharing songs, stories and praise for the Lord. * The mind can get more rigid about what’s right and wrong. The desire for perfection that can cause anger towards others' wrongs. Devotion takes you away from the mind to the heart where there is no right or wrong. It accepts all unconditionally. In love there is no ego, in fact the easiest way to melt the ego is through devotion. When the sweetness of devotion fills the heart there is no anger or hatred. * In devotion there is the nectar (Ras) of sweetness, joy, bliss, ecstasy, intoxication. Knowledge and Yoga are dry and incomplete without devotion.